I have a checkbox with two possible things underneath it. If the box is not checked, there will be a dropdown with different default options. 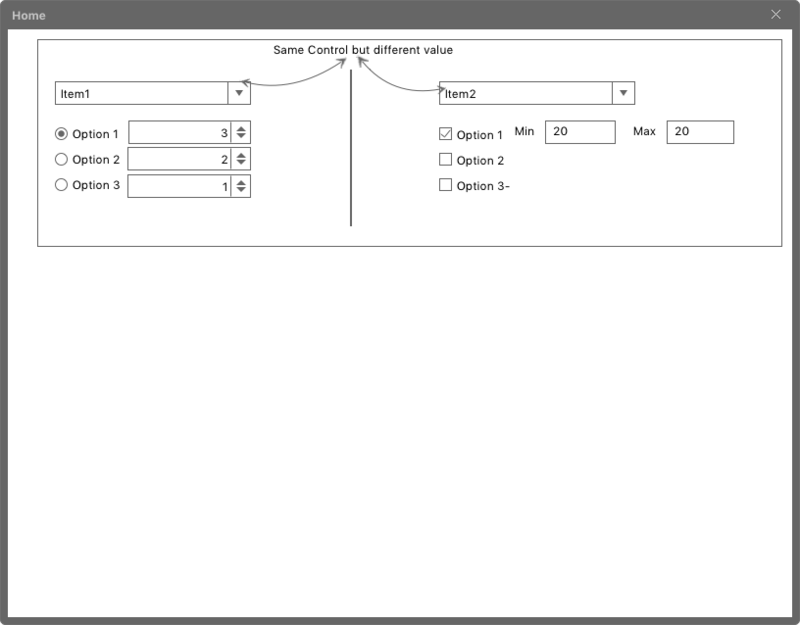 If the box is checked, the user will have to assign two values themselves, via two textboxes. What is the best way to show these two different methods? 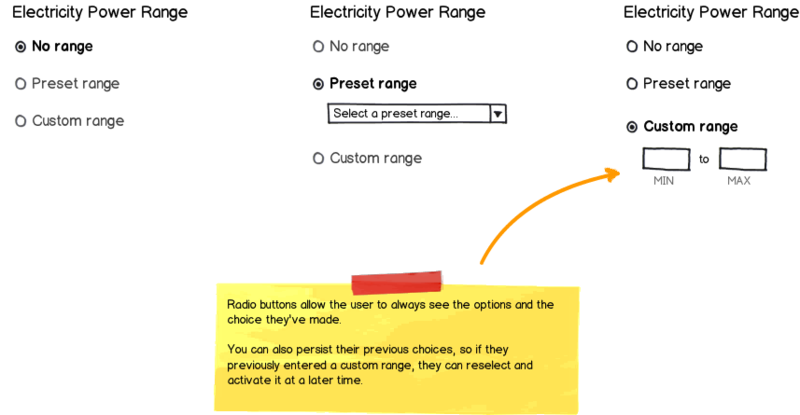 If you need clear indication of a choice, try radio buttons with the expose within pattern. You'll see this in LukeW's Web Form Design book. Not the answer you're looking for? Browse other questions tagged website-design user-behavior user-expectation checkboxes selection or ask your own question. Should a dropdown have a value (or be visible) when the associated checkbox is unchecked?